Tunnel construction is experiencing a world-wide boom. A look at the tunnel construction statistics since the 1960s shows the obvious consistency of the rising curve with the amount of traffic in these decades. There are two reasons that drive this development: The unabated growth of individual traffic and the exponentially increasing trade of goods and merchandising management, which would like to reach every corner of the world as fast and as easily as possible. The call for a continuous “more, faster, further“ is clearly reflected by the extension of the traffic network to create the required traffic routes, which save time and costs, are safe and where obstacles have been removed to the highest possible degree. The dictum of today’s traffic planning is to get from A to B in the shortest time, and this in a reliable, safe manner without any interruptions. This is both true for rural areas as well as for the cities and metropolitan regions that suffer from a traffic overload. The focus of traffic flows is mainly on transnational long-distance connections in order to bring huge international economic regions together. Before this background, tunnel structures and bridges are the most important components of traffic networks. They cross mountains and water, reduce distances, avoid detours, level differences in heights and eliminate crossroads and intersections. At the same time, traffic tunnels protect human beings and nature from noise and pollution emissions. In parallel with the development of tunnel construction, specialists have established themselves on all levels of planning and execution that enable the successful completion of such large projects through tried and tested types of construction as well as linked information and organizational structures. The planning teams for tunnel structures usually consist of geologists, geodesists, specialists for earthworks, foundation ground engineering and road construction, organization and concrete technologists as well as planners for transport and operational safety. Listing all these professions already provides a first impression of the high complexity of such construction projects. 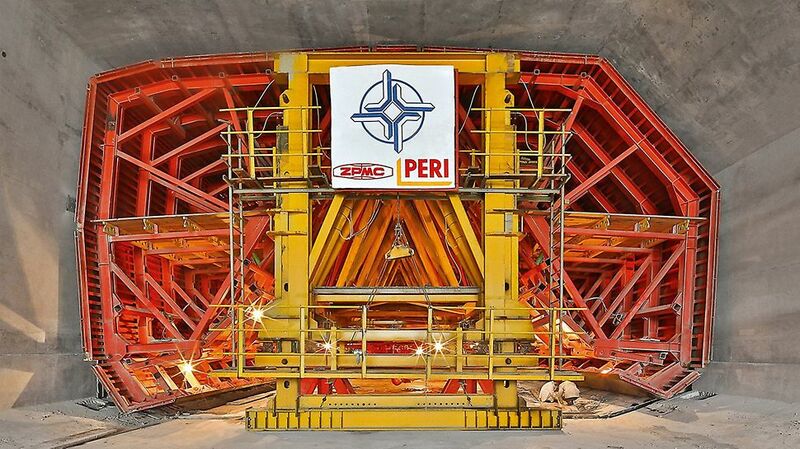 Among this group of specialists, the company PERI has gained international reputation as a reliable partner with its formwork and scaffolding systems. And this throughout all project phases – from the planning process to completion. Concrete as a building material enabled a basic definition of systematic types of construction in tunnel construction. And subsequently a further and further improved method to approach construction tasks of this type with standardized systems and thus to consistently focus planning, structural design and implementation on economic principles. In the course of this development, there was a considerable reversal in the ranking. Where formwork and scaffolding used to be randomly purchased, necessary accessories in the manufacturing process, they turned more and more into production and organization tools through their change into systems. It is the closely linked coordination of these versatile systems which nowadays warrants the success of each tunnel construction site. The main criteria for the selection of the type of construction and load-bearing structure are the tunnel cross-sections and their lengths. In addition to this, there are object-related curves and inclinations along the tunnel as well as varying geometries in clear width and height that have to be considered. These changes in the standard cross-section are necessary for the integration of park and emergency stop bays, escape and access galleries or of constructions that link adjacent tunnel tubes with one another or that lead to the surface. Independent of the construction method, different cross-sections of the load-bearing structure are available depending on the geological circumstances and the planned utilization. The simple shape of a rectangle offers the most cost-effective manufacturing options. However, depending on the framework conditions, also circular, elliptical or special cross-sections can offers specific advantages. All PERI tunnel construction solutions are based on one single system – the VARIOKIT engineering construction kit – independent of the required degree of automation for the shuttering and striking processes or for the movements. The PERI system solutions include all life cycle phases of tunnel structures: from their construction over their maintenance up to their repair. Open cut tunneling: interrupted cross-section. As with regular high-rises, the floor, walls and slab of the tunnel cross-section are produced independently. Walls and slab are concreted in one pour. Their production takes place with two separately moving, structurally autonomous formwork carriages. Floor and walls are concreted in one pour. Because of its absolute water-tightness, this construction method is mainly used in groundwater areas. Floor, walls and slab are concreted in one pour. Due to the minimum amount of joints, high water-tightness of the whole tunnel cross-section is achieved. Tunnel is built underground. The excavation for the circular or oval cross-sections is done either by blasting or with tunnel drilling machines. Construction with minimum traffic disruptions. With this construction method, excavation only reaches up to the bottom edge of the future tunnel slab. Deviations from the standard cross-section. Necessary changes of the standard cross-section due to parking and emergency stop bays, escape and access galleries, etc. Transitional structures link above-ground traffic routes with the underground routing. The shape and dimensions of formwork geometries can be flexibly adjusted to the topography and landscape. Surface finish of the portal walls can also be flexibly formed. Gallery-type structures / half-open structures. Half-open tunnels with single-sided or overhead light. Galleries can be independent structures or longer transitional structures. 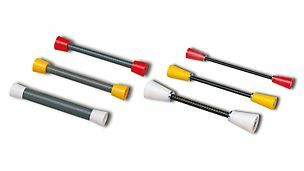 Suitable for all PERI formwork and scaffolding systems which can be used for tunnel construction. Construction-related measures for the maintenance, partial renewal or modification of existing tunnel structures. Maintenance and process planning conform to the generally applicable rules and regulations. PERI has followed a special modular-type concept right from the start which sees two allegedly contracting targets as one entity and which combines them technically in the development of products and construction components. On the one hand, PERI formwork and scaffolding systems are characterized by the highest possible simplification of their structure and handling. On the other hand, as highly standardized components, they allow for a maximum of variability in their object-specific combination. 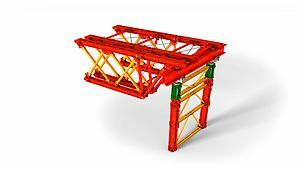 The functional and logistically optimized concept ranges from few core components with captive, self-locking and self-adjusting connectors over a self-explanatory erection logic of the formwork and scaffolding systems to digital planning and execution instruments which ensure a smooth project process both regarding construction and logistics. and the SLS heavy-duty spindle. This means that the VARIOKIT engineering construction kit consists of about 80% standard components and only the remaining 20% are object-specific, adjusted special parts. 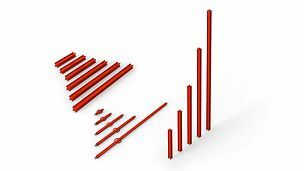 On top of this, the possibility to rent the PERI standard components reduces the rate of tied-up investment capital. At the same time, PERI customers thus have reliable world-wide access to a pool of technically and functionally tested and maintained system and product components. 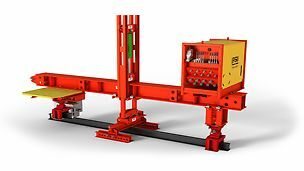 A further considerable economic benefit of the VARIOKIT engineering construction kit is that it can be extended into an independently moving, hydraulically supported ”tunnel forming machine“, which executes many linked work steps precisely and automatically. All topics mentioned above are described in more detail and presented with pictures in the PERI specialized book ”Formwork technology tunnel“. Numerous system sketches do not only support the more profound explanation of specific construction methods and jobsite situations but they also provide a practical reference to tunnel projects which have already been carried out. More than 100 pages of the 160-pages technology manual are dedicated to the detailed documentation of tunnel construction projects. Here as well, the individually arranged systematic schemes and large-format pictures supplement the presentation of specific jobsite situations and the solutions worked out and executed in cooperation with PERI. To also show the perspective of the executing specialist companies, the “practical people from the jobsite” working for these companies share their opinion about the formwork-related requirements and explain the decisions made in the respective situations. 160 pages of valuable expert knowledge - compact, easily understandable and in step with actual practice.